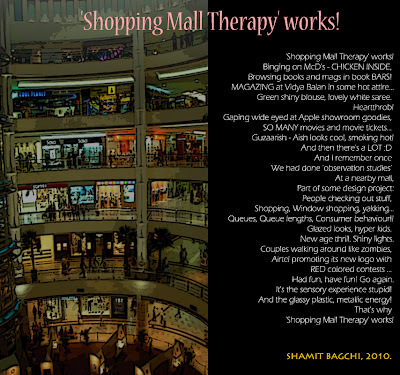 Arbit Scratchpad: 'Shopping Mall Therapy' works! Browsing books and mags in book BARS! Green shiny blouse, lovely white saree. Heartthrob! Guzaarish - Aish looks cool, smoking hot! 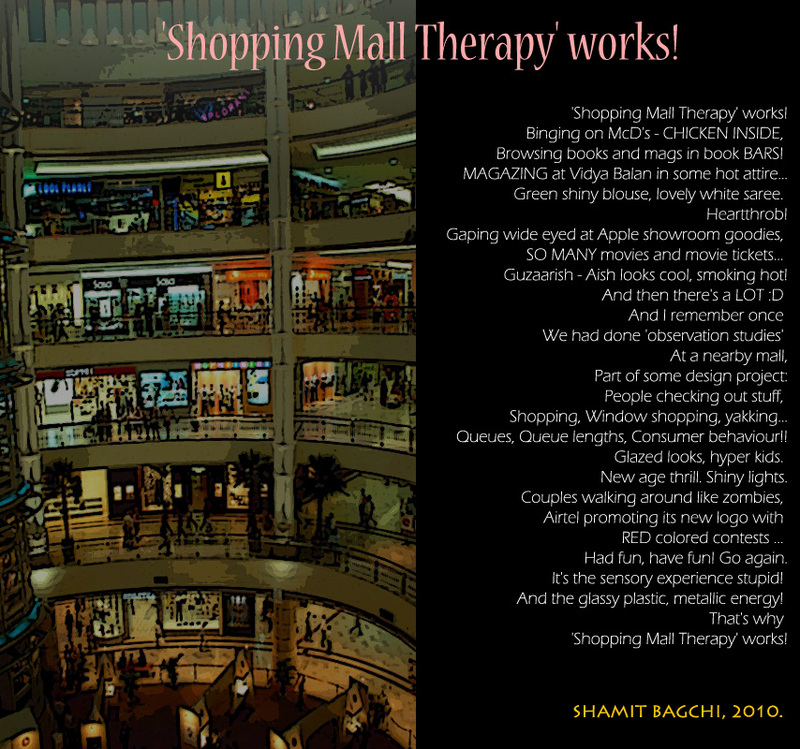 Queues, Queue lengths, Consumer behaviour!! New age thrill. Shiny lights. Had fun, have fun! Go again. It's the sensory experience stupid! And the glassy plastic, metallic energy!